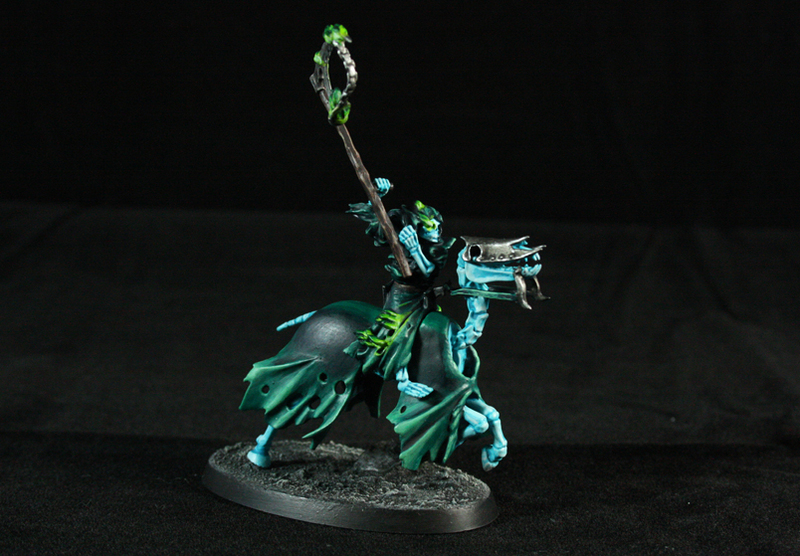 So, here's a Hexwraith test model for my Death army in Age of Sigmar! 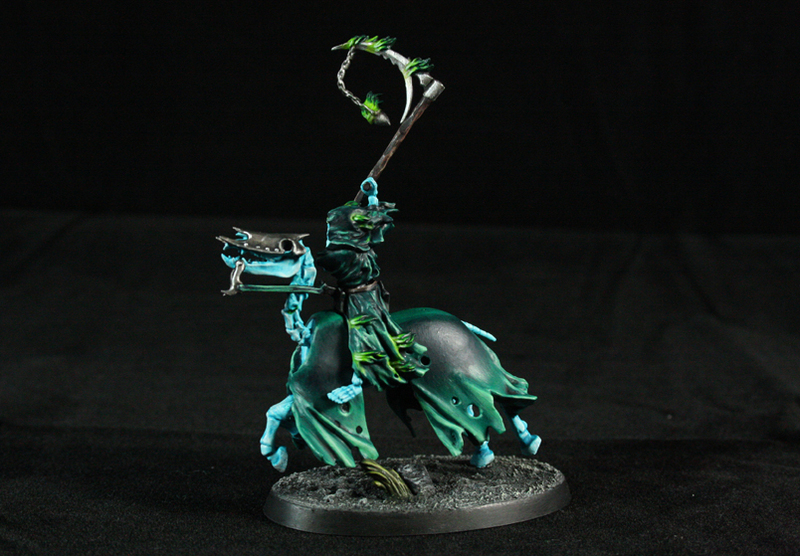 Not everything is going to look like this but all the spirits and Hexwraiths will (now called Nighthaunt). I really enjoyed painting this fella as he's so different from space marines and I tried some new techniques. The robe colour was inspired by the Hexwraith models on the GW webstore. 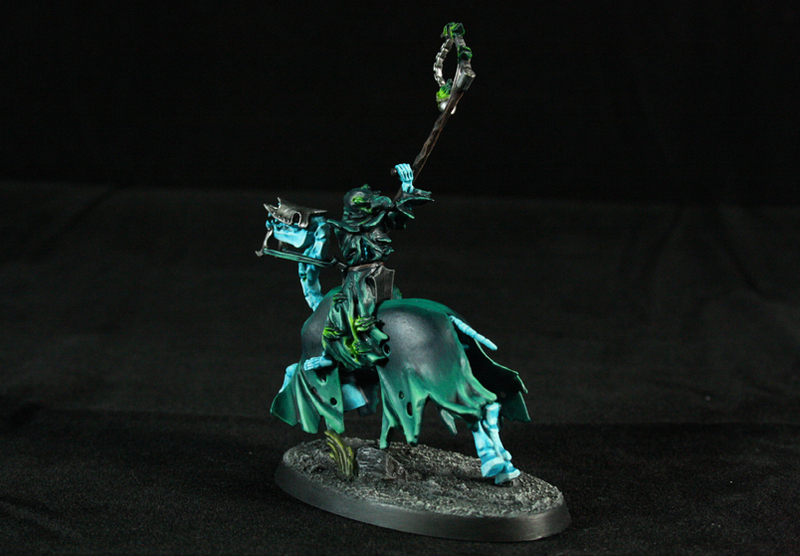 And the blue ethereal-like recipe is based off of the one in How to Paint Citadel Miniatures Nagash guide. I did tweak the recipe a bit as it didn't work for me. They used at a certain point Celestia Grey but I changed that to Baharroth Blue + Ulthuan mix as it blends better with the previous layer. Next update will probably be some Lizardmen (Serpahon, I keep calling them Lizardmen haha). 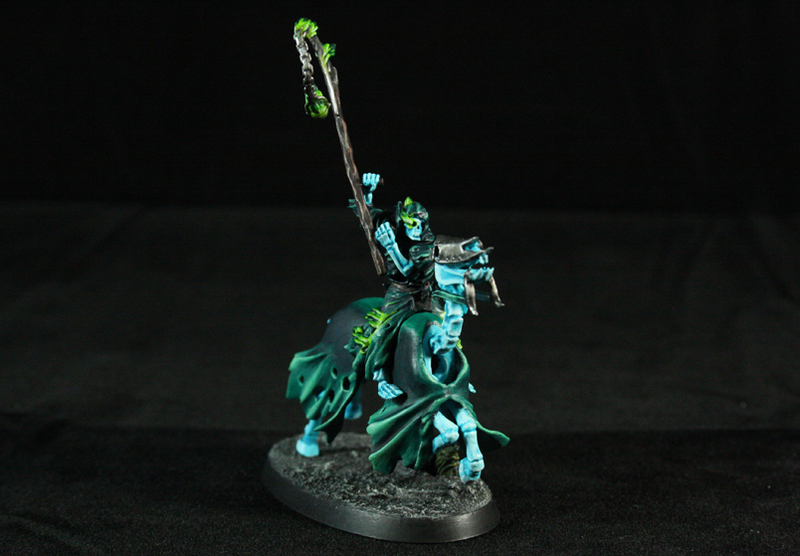 I finished two a while ago but still have to do some snow basing. I got a new technique for that so I hope it works! Oh and... before you go: there's an awesome new Age of Sigmar forum on the interwebz; The Grand Alliance! There are a lot of awesome people on already (including me), so get on and join the fun! Only thought might be some details on the horse cloth (robe? ), looks a bit bare?